See complete agenda below. Space in this event is limited! Our annual conference will gather government representatives and private sector leaders to discuss technology, investments, entrepreneurship and Brazil’s role in the global economy. 2014 is unfolding as another challenging year for Brazil. With an inflation rate of 6.5%, rising levels of short-term debt, increases in consumer prices, the country’s resilience has also been tested by mother-nature. In the Northern State of Amazonas, record high floods have affected over three hundred thousand people and, in the Southern State of Rio Grande do Sul, more than eighteen thousand people have been displaced due to heavy rains. In contrast, the State of São Paulo is suffering its worst drought in decades. As a result, electricity prices have soared and the region’s sugar and coffee crops will be much lower than the previous forecast. Brazil’s industrial output is also losing steam. Manufacturing fell last May for the third straight month. Despite stimulus measures put in place by the government, capital goods production fell 2.6% in May from April, textiles, and chemicals, 0.9% and durable consumer goods such as furniture and home appliances sank 3.6%, according to statistics agency IBGE. Yet, Brazil remains one of the most attractive and dynamic marketplaces in the world. The country is home to the 4th largest market for automobiles, 3rd largest manufacturer of commercial aircraft, the 4th largest market for mobile phones and 3rd largest market for computers. The rise of the middle class has been accelerating broadband access across social and income divides. With over 80 million internet users, Brazil has the 2nd largest active users of Facebook and Twitter and the 3rd largest of LinkedIn. Brazilians spend more time on social media sites and play more mobile-based games than most of the users in developing nations. This phenomenon has propelled a nationwide startup boom led by passionate entrepreneurs developing a wide range of web products and services. Last year, private equity and VC firms invested about $6 billion in the country, up from $5.7 billion in 2012 however, the country’s entrepreneurial ecosystem has yet to mature. The Honorable Mauro Vieira, Brazil Ambassador to U.S.
Keynote speaker: The Honorable Mauro Vieira, Brazil Ambassador to U.S.
Executives from Nike and Visa will discuss strategies for the Olympic Games and analyze digital media penetration during the World Cup, when the companies generated several billion impressions across social and mobile platforms. Fabio Coelho will talk about Google’s trajectory in Brazil, the company’s plans to open an entrepreneurs campus in Sao Paulo and his vision on the convergence of mobile, big data and cloud in a globalized world. Brazil has seen the rise of a new breed of entrepreneurs shaking up local and international markets. Our guest speakers represent various successful cases. Comprova-DocuSign: Brazil’s leading digital signature platform and digital certificate authority Comprova was acquired last March by San Francisco based DocuSign, Inc. Our guest will talk about the deal and the delivering of digital signatures and transactions in Latin America. Movile: the leading mobile platform for content and commerce in Latin America with 30 million monthly active users just raised a $55 million series D round of funding. Its PlayKids app has 6 million downloads worldwide and is the #1 app for Kids and Education for iOS. The Brazilian Maker Movement: the Maker Movement and its do-it-yourself culture is gaining traction across the globe. In the U.S., President Obama proclaimed June 18 as the National Day of Making to encourage a new generation of innovators. In Brazil, the emerging movement has an active home with booming small 3D printing houses fueling a surge of hardware startups. Analysts have cut Brazil’s economy 2014 growth forecasts to 0.81% and their 2015 economic growth forecast from 1.5 percent to 1.2 percent. Still, the country’ equity market remains attractive in comparison to other emerging economies. Both Brazilian and foreign firms are raising new funds to invest in the country. Our panel will feature some of the key stakeholders in Brazil’s investment market for a conversation on the business landscape and the role investors are playing to enable the local entrepreneurial ecosystem. 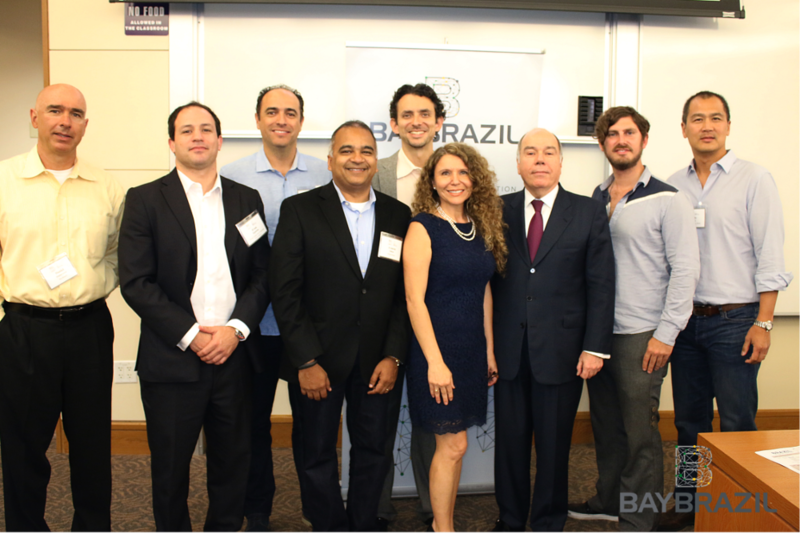 Our heartfelt thanks to our speakers, members, event attendees who came from near and from as far as Brazil and the U.S. East Cost to be with us! Thanks for participating & strengthening our thriving community! Obrigado! 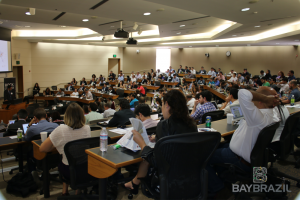 On September 12 BayBrazil annual conference at Stanford University gathered startups, executives of leading companies, investors, and government officials to discuss the Brazilian digital market. Uber, Airbnb, Evernote, Google, Nike, Visa and many others stepped up to the challenge of describing their experiences in the Brazil. 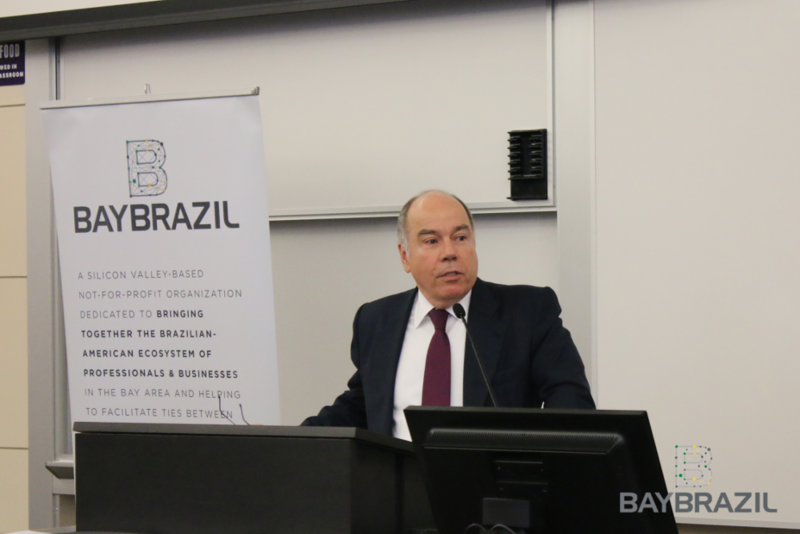 The guest speakers presented interesting insights about the behavior of Brazilian consumers, the powerful digital market being driven by mobile access technologies, the surge of Brazilian startups, and many cultural aspects of the country. When it comes to competitors, Airbnb and Uber have more to worry about. Key Kuehne said Hotel Urbano is their competitor. “They have 10 million fans on Facebook. Airbnb has 800 thousand. We have yet to grow a lot to get those numbers.” For Uber, the taxi apps that are emerging and gaining popularity in Brazil represent their main competition, according to Megan Zoback. One of the Uber’s competing apps is Easy Taxi, created by a Brazilian in 2012. The system has currently 200 thousand taxi drivers registered and 10 million users in more than 30 countries. The toughest part of being in Brazil, according to all four companies is regarding taxation and payments. “Getting a lawyer on board is important”, says Megan Zoback. She added that finding potential Uber drivers was one of the challenges once they have to be very skillful to deal with the terrible traffic in cities like São Paulo . Rodrigo Velloso said that one of the main issues for Youtube was, believe it or not, obtaining the domain youtube.com.br , which at that time was registered by somebody else. The upside about Brazil, said Velloso, is that there is a huge flux of content created by Brazilians on a daily basis. 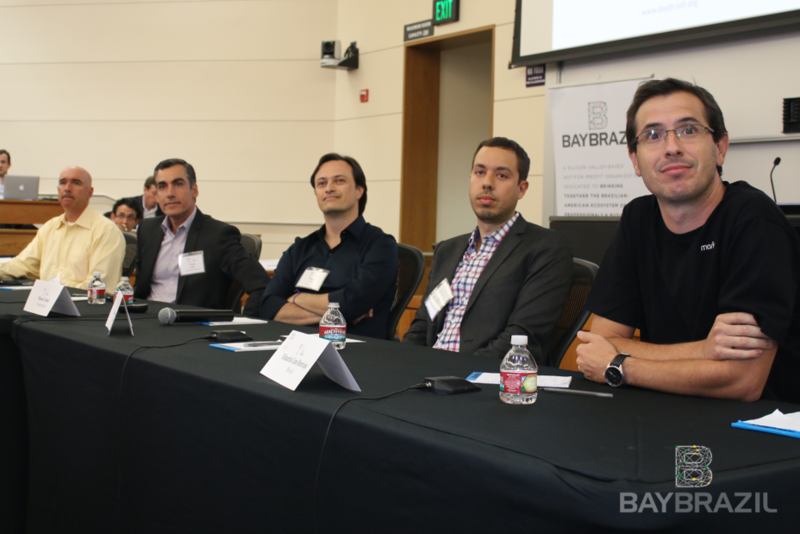 BayBrazil & LatinSF announced a joint initiative to gather support for a direct flight between San Francisco and Sao Paulo. The World Cup 2014 in Brazil may have been controversial for millions of Brazilians outraged by government spending to host the event, summing roughly $11 billion. However, for Visa, one of the tournament sponsors, the results of the big event were more than positive. The company is pleased with the $380 million that foreign tourists spent with their cards in the country during the month-long event, according to the Senior VP Global Sponsorship Manager of Visa, Ricardo Fort. In a presentation during our conference, Fort did not disclose how much money the company invested to be a Fifa sponsor, but he has an explanation on why countries are willing to spend a great deal of money to host big events such as the World Cup and the Olympics. “Because it is the ultimate market campaign that a country could ever dream of”. Ricardo Fort says that once the host is revealed, companies such as Coca Cola, Budweiser, Adidas and Visa start looking at the country and talking about it. He mentioned that Brazil has now two years to work hard to attract more tourists for the Olympics than the 1 million who went to the World Cup. According to Fort, the foreigners in Brazil spent $122 million more than in the South Africa World Cup, in 2010. São Paulo was the main destiny, with $59 million spent by Visa card holders, followed by Rio and Brasília ($28 mi), Salvador ($15 mi), and Fortaleza ($14 mi). The restaurant, Retail and Lodging sectors had the highest sales during the event. The visitors from the US represented the largest share of consumption, with $94.4 mi spending on their Visa cards. 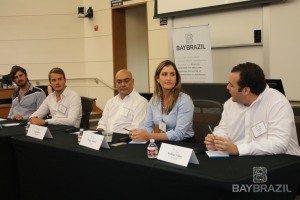 Investors from Redpoint e.ventures, Valor Capital, Qualcomm Ventures, Atomico and eBricks all agree that this is the best time to invest in Brazil. The partner for investments in Latin America at Atomico, Haroldo Korte, mentioned the company has five investments in Latin America, from which four have grown more than 100%. Two of these companies are from Brazil: Bebestore and Connect Parts. The first is the leading online baby goods retailer in Brazil and the other is the biggest online seller of auto parts in the country. All the investors agree that agriculture, education and health care are promising sectors in the country. However there is a red light regarding the accelerators in Brazil. According to the managing director of eBricks, Pedro Sirotsky, the accelerators are not creating great companies. “ I do not think we are on track. 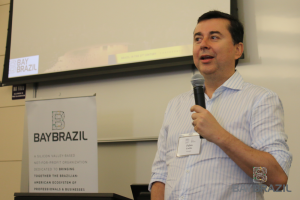 Most accelerators in Brazil take too much equity. We have not invested yet in any company coming from accelerators so far. Sometimes, they create false expectations on very unprepared entrepreneurs.” In Brazil, the accelerator may charge up to 20% equity, while in the United States this figure does not exceed the 10%. The high equity charged increases the market value of the startup, which can make it hard to get investors interested on it. 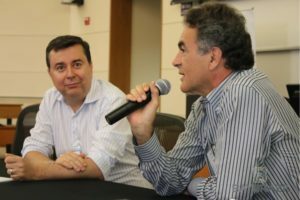 The managing director of Qualcomm Ventures, Carlos Kokron, does not agree that accelerators do not help. 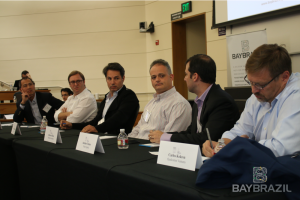 “I think that accelerators are important for the ecosystem. They are helping a number of people who want to be entrepreneurs.” He said also that outstanding entrepreneurs will always be funded. 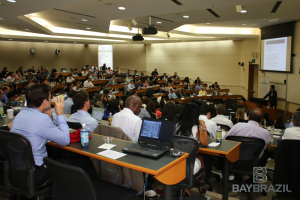 Haroldo Korte added that it is noticeable an increasing on quality of accelerators in Brazil. “I think they may help new entrepreneurs, but I do not have data of how successful they are on their function.” Currently, there are about 30 main accelerators in Brazil, most of them in Rio and São Paulo.